I activated two local summits today using my KX3 (running 15W) with the AX1 antenna using the bipod to keep the antenna from falling over. Most of my operation was on 14.063 CW supplemented by a few contacts on 18.093 CW. The rig and antenna worked perfectly. Connected the antenna and counterpoise; pushed the “tune” button and started making contacts. My received signal reports were will within the range I consider normal and I was able to copy stations quite well. 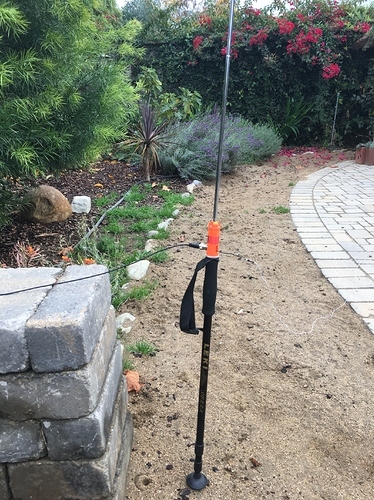 In the past I have used the MFJ-1899 with my KX3 to operate from 7Mhz to 21Mhz with the difficulty of keeping that antenna from falling over - tried several ways to prop it up but the Elecraft bipod for the AX1 has the advantage of simplicity in set up and use. I understand that Elecraft is preparing an additional component for the AX1 to allow for operation on 10Mhz - I will be an early adopter! I was a bit surprised at how strong your signal was here in Kansas. I have one of the AX1 antennas with the bipod also. Have not had a chance to really try it out yet but it sure was working for you today. Thanks for the contacts on 20 meters. After contacting you yesterday, I was surprised to see that your alert mentioned you would be using an AX1. Your sigs were fine here in IL. I had considered but did not purchase an AX1 when it first came out. I now may need to reconsider, especially if Elecraft adds 10 MHz. The bipod certainly helps in preventing any side-fumbling without the need for a waneshaft. I might buy one to go with my venerable K2. Waneshaft? Do you take the K2 on SOTA activations? The K2 has only recently been restored to full health and not been out on a hill yet. It’s surprisingly bulky though. I thought the 817 was quite big till put next to a K2. And one day, maybe, I’ll get enough time to build my QCX which is tiny in comparison. If you take your K2 on the hill then you might need to leave the Lucky Anvil at home ! I was surprised to see what antenna you were using. Often, I can’t copy stations with very short antennas. Your signal was pretty good considering our separation distance and conditions. Your signal was even slightly better on 17 meters, which was a surprise. Wow, that is impressive! You find them in Turbo-Encabulators. Google is your friend and so is Youtube. I heard you here in North Carolina using a simple G5RV. I was running a KX3 so you didnt hear me. You had a surprisingly good signal. Took my KX3 and AX1 to Point Reyes Hill, W6/CC-071, in Marin County, CA. This one point hill is a 1 hour drive from home; arrive at the trailhead gate with 0.5 mile hike to the summit with only 88" elevation gain - nice bench or picnic table to set up easy for two operators to share. In the past I have used my end fed wire - 30’- with an Unun and there is a fence to bungee cord my Packtenna mast. Today I left the mast at home to practice with my AX1. 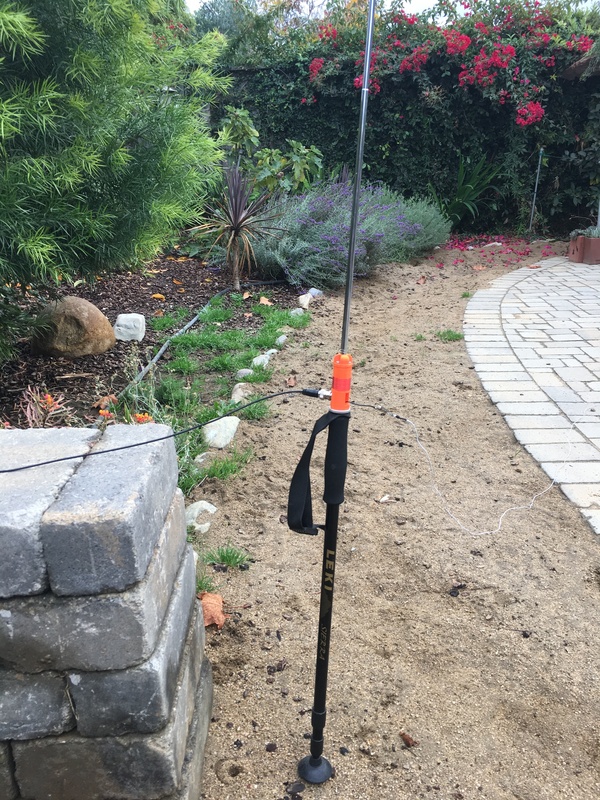 Using the AX1 with the 12’ counterpoise I easily tuned up on 14.063; then I added a 30" counterpoise and collapsed two segments of the telescoping antenna and tuned up on 10.113 - this requires the coil selection to be on the 17M selection. Finally I tuned up on 18.093 - good SWR, but no contacts (I was a bit too early for propagation on 17M). Reasonable signal reports on 10Mhz and 14Mhz. I tried to find a set up to get an acceptable SWR on 7Mhz but failed. Elecraft is developing a gizmo that will get the antenna resonant on 7Mhz, but it is not yet available. I like this AX1, very quick set up and easy to tune on 30M, 20M 17M and 15M - and I am looking forward to the 40M gizmo when it is available! Many thanks to chasers today and always!! I would be interested in trying that out. Let me know when one is available. I’m not convinced the Elecraft antenna is any better than the one MFJ makes. I bought one of the cheap MFJ 20m whips, and using it on summits I’ve had similar experiences to AA0BV. The tuner in my kx3 is able to match it on 30, 20, and 17, and I’ve made SOTA contacts on each. The tuner can probably match it on higher bands too. And if it can’t, I could buy 4 MFJ whips for the price of one Elecraft. I’ve been using it with a single CP, about 13 feet long. W6IPA’s 3D printed one looks like it works the same, and is probably even cheaper if you have a printer. The main issue with the MFJ and the AX1 is that the BNC is at the bottom. 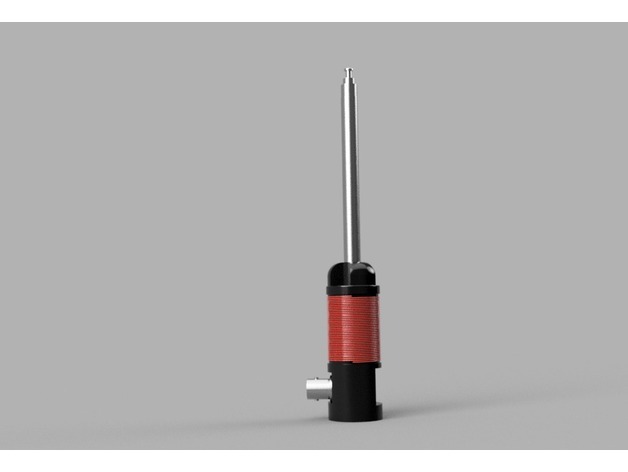 You then need a bnc right angle connector, and a support to avoid having the antenna fall over. This works well for pedestrian mobile, but this might interest only a minority of users, I believe. I have optimized for two things : no need for right angle, and no need for a special tripod adapter, any photo tripod works. Also, the whip is 6 feet, which is longer than the MJF and AX1 i believe.